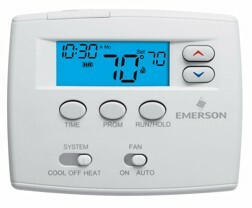 The White Rodgers BLUE thermostats are easy to read and simple to operate. The tall characters and one-touch mode buttons make it easy to set or adjust. The lighted display emphasizes the current setting and options, allowing the user to easily scan and understand the display. 2" Blue™ display with easy–to–see characters. Universal dual–powered choice of battery–powered or hardwired with battery back–up. Patented pre-programmed schedule simplifies time and temperature programming. Indefinite set point Hold or temporary temperature override. Temporary temperature override–will override program for two hours. 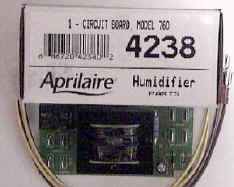 Maintains room temperature to within +/–1° F.
Room temperature display can be recalibrated up to +/–4° F.